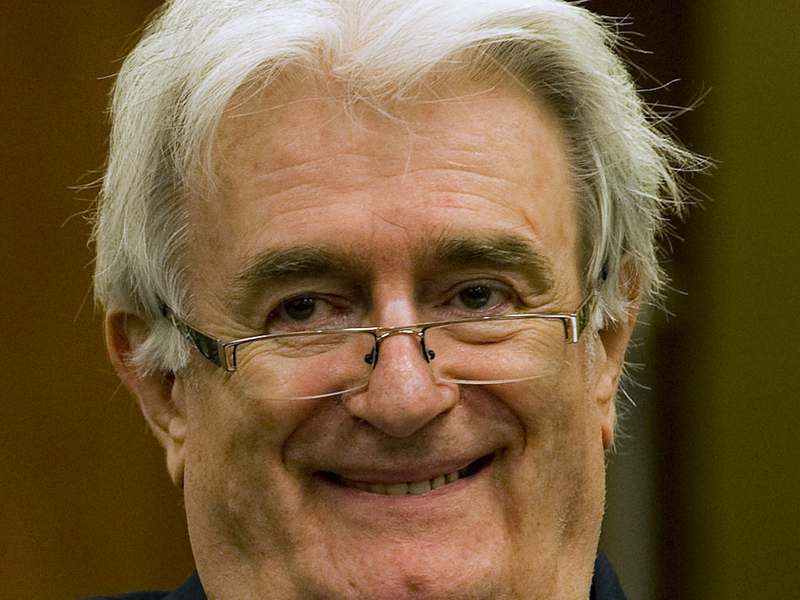 Former Bosnian Serb leader Radovan Karadzic has started presenting his defense at his war crimes trial at The Hague. According to the British Broadcasting Corporation and Reuters, Karadzic, who's accused of crimes against humanity related to the Bosnian war of the 1990s, has denied committing those crimes -- and says he should be rewarded for the good things he did, such as promoting peace. Counts against him include an allegation of genocide for the 1995 massacre in the town of Srebrenica in which some 8,000 Muslim men and boys were murdered. "Instead of being accused, I should have been rewarded for all the good things I have done," Reuters quotes him as saying. "I did everything in human power to avoid the war. I succeeded in reducing the suffering of all civilians. "I proclaimed numerous unilateral ceasefires and military containment. And I stopped our army many times when they were close to victory." Karadzic, 67, is defending himself, and will cross-examine witnesses himself, Reuters says.